The term “film noir” is thrown around a lot to describe a great many films. Neo-noirs, film soleil, and other such spin-offs and mutations are also used to describe recent endeavors in everything from a Coen Brothers film to the latest season of True Detective. But just what is film noir? A helpful infographic from BFI, assembled by Adam Frost and designed by Melanie Patrick, seeks to showcase the most definitive elements of the genre to distill them to some core values. Film noir came out of the post-World War 2 Hollywood but wasn’t named as such until a bunch of high-falutin’ French critics noticed a pattern in all these hard-boiled tales of deceit, betrayal, and morally vague characters. Many of them were based either directly or indirectly on lurid pulp tales of the time by the likes of Dashiell Hammett and Raymond Chandler. But what are the cinematic ingredients that make up a film noir? And what is the most noir film out there by those criteria? 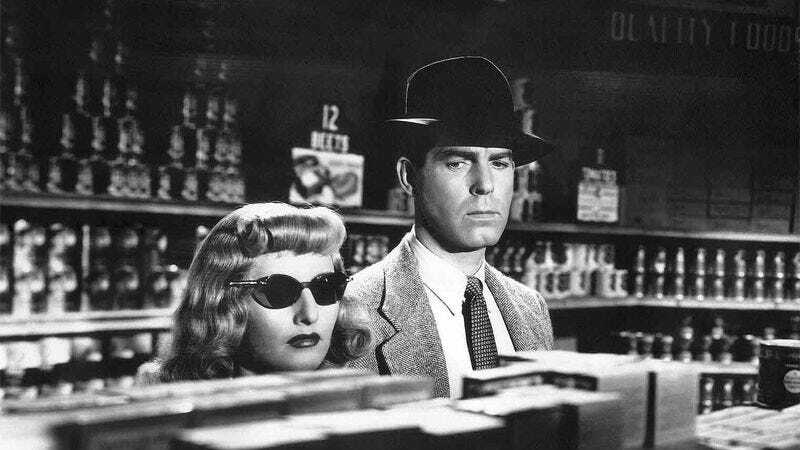 As evidenced by the various tallies, Double Indemnity reigns supreme as the ultimate film noir, both by critics’ ratings and by the criteria that BFI lays out. Out Of The Past comes close in both regards, and both are excellent tales of moral uncertainty, betrayals, and femme fatales all delivered with excellent staccato, witty dialogue that ratatats back and forth between the players. It’s an excellent cheat sheet to learn more about a genre of film, and a great list of films to check out that still hold up to this day. Watch these films and see how much they’ve influenced all the cinema that has come later, from Scorsese to the Coens to Tarantino.